The fuel rail is responsible for the delivery of fuel to the combustion chamber. This sensor makes sure your car’s engine cylinders are getting the right amount of fuel at the right pressure. The sensor calculates the pressure and sends the data over to the ECU. The ECU then decides the correct measure to take regarding fuel delivery. Any malfunction in the fuel rail pressure sensor can disrupt the proper flow of the engine and cause its performance to plummet. The sensors in modern cars are prone to damage due to constant exposure to pollutants such as dirt, dust, and heat. The fuel rail sensor is one such sensor, which can deteriorate quite easily. When it does, you should sense a few symptoms of its failure which should compel you to seek the services of a professional mechanic. As stated before, the fuel rail delivers equal fuel to the cylinders. 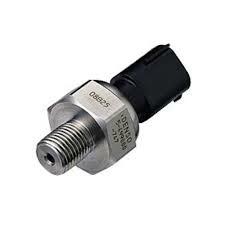 The mechanism that makes sure the fuel rail is efficient is the fuel rail pressure sensor. If the fuel rail sensor malfunctions, it will send incorrect information to the ECU which will change settings involuntarily disrupting the fuel delivery and your car will take longer to start. A failing fuel rail pressure sensor will affect your ride’s performance. When you are looking to accelerate your engine will lack efficient fuel delivery, resulting in poor acceleration. Not only that, when the fuel rail sensor goes bad, it can understate the information to the ECU which can, in turn, increase the amount of fuel being sent into the engine. This way you lose fuel and you are required to fill up your car’s tank frequently. This is probably the first symptom you will notice. The Check Engine Light is an indication that something is going wrong inside your engine that needs to be looked after immediately. This light is triggered by the ECU which senses the failing fuel rail pressure sensor and acts accordingly. Whenever this light illuminates on your dash you should take a trip to the nearest mechanic. Improper delivery of fuel to the engine will cause it to stall unexpectedly. No matter what you try, the engine will not start back. If this happens frequently, the fuel rail pressure sensor is not working properly enough to send the correct information to the car’s onboard computer. When the ECU is unable to make adjustments, your car is at a high risk of developing unnecessary problems. Every sensor needs proper treatment every few thousand miles to ensure its efficiency. The fuel rail pressure sensor is one such sensor which is located under the intake manifold just touching the fuel rail. Given its location, you can imagine the amount of heat the sensor must absorb and the vibrations it must feel. So, the sensor is bound to fail sometime. Cleaning the sensor and connector may refresh its functions. Removing the sensor actually requires a bit of mechanical work. A few wrenches, spanners and screwdrivers need to come in action to save the day. However, if you are even reading this part of the article, you must have some interest in keeping your sensor alive longer. The first thing you need to do is disconnect the electrical connector coming into the fuel rail sensor. Secondly, the vacuum pipe that is coming from the engine has to be removed. When all these parts are separated from the fuel rail pressure sensor you can attempt to pull it out. There are two ways to clean a sensor, one is conventional using alcohol or ethanol while the other requires the use of a dedicated cleaner. However, both methods clean the sensor equally. Start off by cleaning the sensor with a clean piece of cloth to remove any fresh dust. When the dust is clear, place the sensor in the plastic bag and add a bit of cleaner to help you rub off the pollutants. Leave to dry once you are finished. The drying can take longer if you are using a cleaner as it contains a number of chemicals. As soon as the fuel rail pressure sensor has dried you can install it back again. Make sure you clean the ending of the electrical connector and the vacuum pipe before you connect them with the sensor, or else your hard work will go to waste. Follow the procedure you used to disassemble the sensor to reinstall it. Once you are done with the installation, start your car and check the dash for the Check Engine Light. If it is still illuminating, you need to use an error code scanner to reset the light. Error code scanners or OBDII scanners are commonly found in the market. They are relatively cheap and handy for a home mechanic, so you should think about buying one if you don’t already have one. Restart your car after you have reset the Check Engine Light, it should have gone away by now, if not you should visit the mechanic since the problem could be bigger. A mechanic can only work to an extent. The sensor is an electrical component can go bad easily. So bad that it goes beyond repair. That is when you need the mechanic to replace your older sensor with a new one. The fuel rail pressure sensor might be a small car part, but it is extremely valuable and so it is highly expensive. A new sensor will cost you $120 – $150 depending on your car and its model year. The older the car the expensive the part will be. Furthermore, the mechanic will charge you labor costs, which is the money for his hard work. This can range from $80 to $100, due to the fuel sensor’s challenging location.